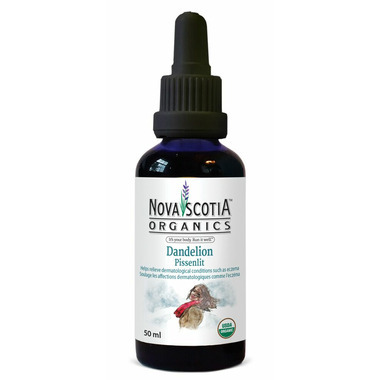 Nova Scotia Organics Dandelion Tincture is traditionally used to stimulate appetite and to increase bile flow. Botanicals found in whole herbs co-exist with natural plant complexes. This ensures the stability and related bioavailability and activity of the various active ingredients. Naturally Nova Scotia's herbal caplets are an excellent source of certified organic, potent, non-synthetic, bioavailable, herbal botanicals. Naturally Nova Scotia has rebranded as Nova Scotia Organics.